Hero Motorcycle Company, Two Wheelers Bikes Manufacturer in India - Hero MotoCorp Ltd. 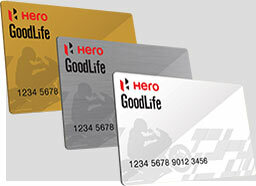 Hero MotoCorp GoodLife Program is designed to complement your good life in every way. It brings you an easy to use privilege Insta card packed with special rewards and benefits. It also provides you with a free riders' insurance worth 1 Lakh to ensure your peace of mind. Your Hero GoodLife Program membership rewards you with points on all yours spends which can be redeemed against special gifts and Hero Sales or Service discount vouchers. All members enrolled during the month get a chance to participate in an exciting lucky draw! 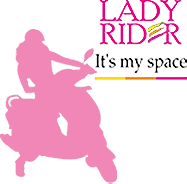 Hero MotoCorp GoodLife - Lady Rider Club is an exclusive relationship program designed especially for female customers of Hero MotoCorp. As a member, you get rewarded with points on all your spends and get to enjoy a host of benefits, exciting offers, privileges and invites to exclusive events. As a member you are also entitled to a free riders’ insurance worth 1 Lakh. So make the best use of your Hero MotoCorp GoodLife Lady Rider membership card and experience the true joy of riding!